Making My Stead: What's in a name? Update 6/03/2013: Since writing this post, I have moved from wordpress.com to blogspot.com. Some of the customizations described below are in respect to wordpress.com. Read more about my move here. My epiphany that I am a hobby blogger made me take a re-look at my blog in general. Everything I saw about my blog spelled out N-O-O-B. I was using a theme from the WordPress.com repository without any real customization. I once clicked on a commenter to discover that their blog was using the same exact theme. Oh, the horror! It was like being caught at the dance in the same dress as another girl. I needed to scrap it and start all over. I decided to go with the Twenty Eleven theme. There is a reason why this theme was WordPress' default theme for the year. It is really clean and has several customization options available. Plus it is mobile friendly! My mobile site went from blah to yay! Morgan's post pointed me to Digital Scrapbooking freebies. Let me just say, free digital scrapbooking is my new friend! Did I mention it was free? Free is my friend. ;) Thank you, Morgan! Jo-Lynne's post pointed me towards istockphoto.com, which is where I grabbed my cute little clip art engineering girl. She is actually called "Female Architect at Drafting Board," but, yeah, that is what engineers also look like. Maybe the only difference is I would have a calculator sitting next to me on that table. I like her though. This is the first time I have put some dough into my blog, unless you count my Heart Pendant Giveaway (which I had materials on hand, so it didn't feel as expensive). I originally started a header with only the freebies. I had the engineer/architect girl in my back pocket. I wanted to be cheap first and try it with all free stuff. I showed it to my fiancé, who has an eye for design (he always jokes that he must have been a fashion designer in a past life). He was, "ehhh." I showed him my mock-up design with the engineer girl and he liked it! So I went with it. It fit what I wanted to emphasize as well as the color scheme. Ashton's post taught me how to make the brown and polka dot background using PicMonkey. 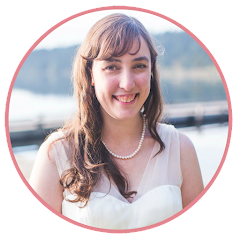 She also has some amazing blog design tutorials, especially if you are on the Blogger platform. Lastly, do you like my rotating button at the bottom of this page? I made it using GIFMake.com. It's a super easy way to add animation or make a rotating button. While redesigning my blog theme and working on a new banner, I realized I have never explained my name very well. I never really came up with a real name for my blog, I just ended up using a username that I had recently adopted. I am sure that it has confused many the blog reader. So while working on re-theming the blog visually, this was the time to also think about the blog name. I thought about whether I wanted to ditch it and come up with something new. I decided I didn't like this idea, since people have already started to get to know me and I am kind of sentimental. I decided that I needed to work towards bringing clarity to the name. Firstly, I wanted to reaffirm that ngnrdgrl (pronounced, en-juh-nerd-girl) isn't the blog, it is the blogger. A tweaking to the blog name was in order. I then came up with a new tag line. The old one was just like my blog name, rushed and un-thought out: "a blog by the enginerd girl." Who wants to read that? I thought a post was called for to give this all more meaning. I apologize. My original theme didn't support headers and insisted on making my name all caps. I think this confused some of you into thinking that my name is an acronym. It isn't. 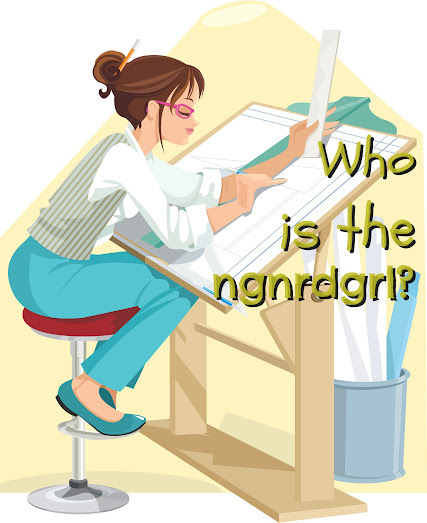 Ngnrdgrl is a geeky way of writing enginerd girl. What is an enginerd? It is a combination of engineer and nerd that us engineers call each other when we are getting our geek on. Or at least they did in my civil engineering graduating class. My name came from my desire to highlight that I am an engineer and I am girl. This was once a scarce combination but is getting more momentum. While redesigning the blog I wanted to better connect engineering to crafting/DIY/creativity. The two are related and I have always been a proponent in encouraging girls into engineering. Yeah, little girls aren't going to read my blog, but mother's will. And if more women see engineering as a female acceptable career, than their daughters may get encouraged to grow up to be one. If they see their daughters designing and crafting, then maybe instead of an interior or fashion designer (for example), they will be encouraged to become an engineer. I am not saying there is anything wrong with designing or crafting. I am saying, women are still poorly represented in engineering careers. Engineering is a field that is incredibly rewarding and I want to share that with more women. I help build schools, libraries, fire stations and colleges. Why wouldn't a girl want to become an engineer? Engineering and DIY/design/crafting work hand in hand. I have always liked creating something with my own two hands. To see a product that I can be proud of. To be able to say, "I made this." With engineering, I get this reward. I get to walk around a new school and say, I was a part of building this. Of designing it. Of creating it. As discussed above, when I signed up on WordPress.com, I used my username to be my blogging name: ngnrdgrl. When I discovered link parties and started getting into the DIY/crafty/decor scene, I was worried that my name would be lost. I contemplated whether I needed a new name. Something that invokes creativity. That explains what this blog is about. And maybe I still do? On the other hand, maybe I just need to embrace it more. To spell it out. To let everyone know that engineering is synonymous with creativity. That when you come up with your own design for something new. You engineered it. When you come up with how you plan on constructing something, whether you are going to use glue or tape or heat bond. You engineered it. When it doesn't work out perfectly the first time and you go back to the drawing board to refine it. You engineered it. So that is what it is all about. My name is Bethany. I am the ngnrdgrl (en-juh-nerd-girl). And I am going to engineer my way to creativity. Let me know what you think of my new blog design, name and tagline! Don't forget to check out my new buttons! I feel a little more blog-grown-up. Maybe my blog is reaching puberty? Just a little bit! I love it! Looks great, Bethany. Also, I think you make a really good point about creativity, arts and crafts and engineering all coming from the same strengths and concepts. Taken from that perspective, it's surprising there aren't MORE women engineers than men! I've thought about changing my blog name as well. Originally, I used my real name and the title was alliterative. However, I'd gotten so used to using my internet nam through gaming and various other internet uses that using my real name felt too exposed. (It's a very unique name, which makes it a lot easier to find.) I get a lot of randim hits from people searching for scrapbooking. At this point, I'm not sure which would be more confusing, keeping my blog name or changing it! Hey! The new layout looks great! And your header is super cute :) I'm glad you love your job, it seems very cool and rewarding. I've often wondered about your blog's name, but thought I was just too brainless to figure it out. I don't know why, but I always saw it 'inaugural' but it got messy at the end, so I gave up. Thanks for setting me straight. I can get behind the engineer and nerd thing. :) I am a nerd of some sort myself. Great job revamping your blog. It looks and functions great! Bethany, I literally gasped when I clicked over to your site tonight to discover your new and improved design. I'm so impressed! I think Christine said it well, "It looks and functions great." You've really managed to make the most of your new theme and added so many customizations that I doubt you'll ever have that same-dress-at-prom moment again. It's funny, my sister and I had a conversation about your blog title when she was here to visit. She was mentioning all of the faithful blog friends who comment on my posts, and how she feels so thankful for you guys! (As do I.) And she mentioned a bunch by name, you included, which led us to discuss how to pronounce it. I think your new tagline is absolutely perfect and that, in conjunction with the image you chose, convey so much...not just about how to pronounce your blog title, but the kind of person you are and how your profession connects to your love of crafting and creating. And for as well I feel I have gotten to know you, this post and this redesign make me feel like I know you even better! I am sentimental like you, and when I made the migration to self-hosted Wordpress, I considered whether or not a name change was in order. "The Thinking Closet" doesn't automatically convey crafting and d.i.y. projects. But it made sense to me, and I couldn't imagine letting it go. So, I decided that with the help of a new graphic and my old tagline, the meaning would be made clear to anyone passing by. That's definitely true here, as well! Anyway, I love how much thought and artistry you have poured into all of this. You've really created a beautiful canvas here on which your projects can be presented. And thanks for the GIF generator link! I've always wanted to make one myself, but thought Photoshop was required. You rock. Congrats again! Now that I've written a novel, I'll say peace out! I. LOVE. IT!!!! It's so beautiful and so you and so perfect!! And I feel like I learned so much from reading this post! So since I have boys, should I encourage them to be engineers since engineers are awesome or encourage them to be something else to even out the boy/girl ratio? ;) Happy, happy Monday, friend!! Oh I love, love your new blog look.. and thanks for explaining what the name meant..all along I just said "Bethany's blog" lol.. I need to redo mine too as I just changed formats but am not really digging the colors and really don't want to pay for anything.. i doubt I'll ever change the name but am definitely going to revamp the wardrobe this weekend..Than ks so much for the tipos and links!! Lauren, I read this last night right before going to bed. It made me grin ear to ear. Seriously. You are such a wonderful bloggy companion! I am so glad the new look is giving the clarity that I was looking for. I know my name totally messed with people and it makes me laugh what everyone thought it was. ("inaugural", Christine? Oh, boy! Did I fail at that name! Hahah!) It was kind of a joke I just thought was fun and I was totally clueless on what I wanted to name the blog. Your reaction is exactly what I was trying to go for. Helping people get to know and understand me a little more, since that is why we truly follow each other. I am so happy everyone is digging the new look. I <3 you guys! Hugs!!!! 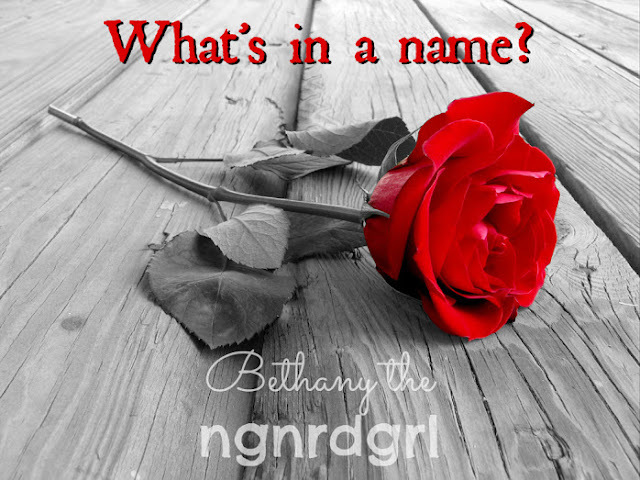 The confusion of changing the name is what held me back from changing my blog name too. I thought it would be confusing to my readers to change the name. And I definitely didn't want to change my address... unless I end up going with my own domain name. I figure that will be the time to come up with a clever name, when I go to purchase a domain name. If and when that happens. Us women are getting degrees in engineering more and more. I think it has to happen, since men getting degrees overall are in the decline and women are in the incline. It is also scary that the statistics for US citizens going into engineering is decreasing overall. If we don't boost up our numbers, outsourcing innovation will be mandatory (already happening!). I agree with your take on engineering whole-heartedly. Being a science/math nerd (most via Geography, trust me, it is a science), I really do understand. That said, I get frustrated when students (male and female) are not expected to pursue math and science to the fullest in middle and high school. Same for college. But, that is another discussion altogether. Yeah, I didn't want to pay for anything either. I thought about upgrading to change a few colors, but it seemed really minimal for the price. Unless, of course, I learned CSS and really learned to manipulate the blog format better. I did notice your theme changed and meant to comment on it. I like how you have a picture up top. Maybe slap your name on it? Have you tried playing around with picmonkey.com? It was really fun getting my wardrobe updated. hehe! I wear my 'nerd' badge proudly. Not to play into stereotypes, but the majority of my friends in high school and college (and to this day) are Asian. So, what does that tell you? Ha! Teaching dance, I was often annoyed at how many of my students (mostly female) played 'dumb' because they were afraid for others (especially boys) to know how smart they truly are. I always encouraged my students to be the best they could be and to take as many math and science classes as they could. I told them they would thank me later. I didn't just teach dance, I always found a way to relate the choreography into mini geography, math, and science lessons. I can't help it, that is the way I think.